At Cadence Legal, we’ll help keep your business in step. We’re commercial lawyers who provide clear, plain-English advice. We pride ourselves on delivering a friendly, efficient and cost-effective service – we’ll always return your calls and emails promptly, get the work done when we say we will and keep you up to speed along the way. We’re upfront about fees too – we prefer to discuss costs at the outset and we’ll provide quotes or estimates where possible. You can pay our invoices online by internet banking or credit card here – payment terms over 3, 6 or 9 months are available. Disputes can be painful – draining energy, time and financial resources. Not everyone has the negotiating skills, or experience, to resolve a dispute in a way that meets both parties’ interests. Not everyone has the financial ability to get the lawyers involved. Even if they do, few have the time and energy to go through a protracted litigation process. That’s where mediation can help. Mediators are trained to help the parties to a dispute find a solution that works for everyone. Mediators are impartial – they use strategies to help the parties explore the problem together, develop options and reach agreement. Mediation isn’t counselling. It is a structured, focused process designed to achieve a specific result – settlement of a dispute. Mediation isn’t court. Mediators do not make decisions for the parties, or decide the outcome of the dispute – they assist the parties to reach their own agreement. If you are involved in a dispute, and think mediation could help, please contact us. 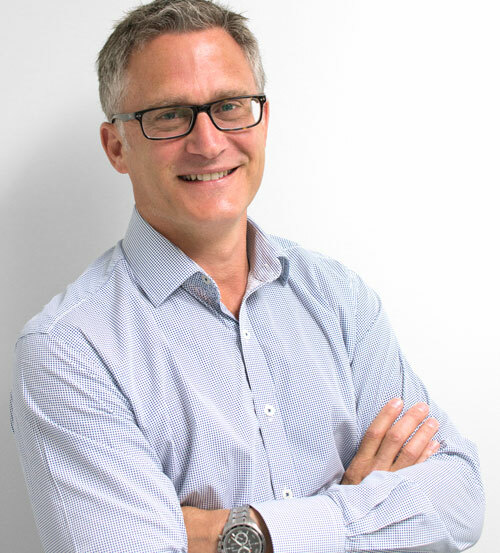 Jeremy has worked on both sides of the fence: in private practice, and as an in-house lawyer in Auckland and London, advising boards, CEOs and senior staff, and managing international transactions and litigation (so he knows what it’s like to be in the client’s seat). He’s worked for some of New Zealand’s biggest law firms – Simpson Grierson, Duncan Cotterill and Minter Ellison Rudd Watts – advising a range of clients, from individuals and start-ups, to small-medium businesses, to corporates and multi-nationals. Jeremy is sought after for his expertise in contract drafting and negotiation, and for providing realistic, cost-effective legal advice that works. He is married to Jackie, who has her own interior design business. With five kids between them, they spend the rest of their time running a hectic but fun household together. Jeremy is also a mediator accredited with the Arbitrators’ and Mediators’ Institute of New Zealand. We also have a network of professionals to call on where you need legal advice in other specialist areas – employment, family, litigation or tax, for example. In addition, we work closely with highly skilled accountants, valuers, insurance brokers, business consultants and other professionals to ensure you receive quality advice across your entire business. As experts in dispute resolution, we provide mediation services. Jeremy has been advising us since 2007. He is an integral part of our team, dealing directly with several of our executives. It is reassuring to know that he understands our business well enough now to bring key decision makers into the loop if necessary – it ensures we get maximum value from his services. We would have no hesitation in recommending Jeremy. We have worked with Jeremy since 2004. In all our dealings with him he has been professional, responsive and informative with advice. He is never shy to "say it how it is" by maintaining a necessary objectivity. He responds to emails promptly and is easy to get hold of on the phone. Jeremy is very knowledgeable, confident and reassuring when he was explaining how the legal process works, and the options available to us. He answers every question thoughtfully, and in language we can easily understand. If you are looking for a high quality, personalised legal service, we can highly recommend Jeremy. In short, Jeremy is highly recommended. Professional, personable, answers your questions directly when others won’t, and takes the time to answer and explain the risks and options that you have. With Jeremy, you are more than just a customer and the service is great too. I am happy to recommend Jeremy for all things commercial and look forward to the next time I require guidance or legal services. Jeremy has helped us immensely over the years – drafting and negotiating contracts, capital raising and the odd dispute. He’s always available, turns the work around quickly and cuts to the chase. I was referred to Jeremy by a highly respected lawyer from another firm. Jeremy has assisted me with a range of legal assignments and been accurate in all of them. As a commercial lawyer he has my confidence. At Cadence Legal, you can pay your bill over a 3, 6 or 9 month period, online or by credit card. We’ve partnered with Fee Funders to provide you with these flexible payment options. Fees and interest rates are competitive, and you can repay early if your circumstances change – and you’ll only pay interest up to the repayment date. Interested in paying via Fee Funders?